As we watched the aftermath of the attacks in Brussels, which took scores of lives and left dozens wounded, I could not help but see this as an instance where Political Correctness trumped calling evil “Evil” and protecting the citizens of one’s country. It seems that the leaders of Belgium prefer to err on the side of political correctness. How ironic that these deadly and cowardly attacks should happen so soon after PM Orban was sounding the alarm, not only to his own people, but certainly to the entire world! Now, it is being revealed that the government of Belgium had credible intel that the attack at their airport was being planned. They did nothing. Even Erdogen of Turkey warned Belgium. That warning fell on deaf and politically correct ears. I believe that much of the world is still convinced that we are not at war with Islam. The Qur’an and the Hadith clearly articulate “Killing the infidels” Any person can go online and look at both books in English. There is no gray area. Mohammad’s plan and command to his people was to dominate all nations. Islam is not truly a “religion” as much as it is a totalitarian system of government. The idea that this is a religion lends it credence and acceptability in the eyes of many lacking discernment. I also believe that many are afraid but also naive. They may believe that if they give the Muslim jihadists “good press” and say that Islam is not a part of the killing, that they will be spared of the terror. Nothing is further from the truth – and the Brussel’s terror attacks clearly support this. As I read and watch the news, it is glaringly apparent that those stating that ISIS and Islam have nothing in common, are the liberal news sites and media. Again, I think that these people feel that the terrorists will be more lenient on them. This is absolutely untrue! They are INFIDELS, and that is all these Islamic terrorists see. They would cut off the heads of the most liberal of news reporters as they would anyone from Fox News or Breitbart or any of the Conservative media. Are you conducting yourself appropriately in a politically correct world? Will one slip of the tongue destroy your career? Will the wrong action or jest result in an arrest? While it is true we need to measure the impact of our words and actions and speak kindly and lovingly, people are flawed and make innocent mistakes. Political correctness has been around for a while. I know you’ve heard of it. Various groups have used it to identify those failing to align with their political views of right thinking. Some earlier and milder forms of political correctness began with the English language. A word like “man” used in a prefix or suffix is no longer acceptable. For instance, the word mankind is now humankind; manhole is maintenance hole; chairman is chairperson; salesman is salesperson; handyman is handyperson and on ad infinitum. A few years ago another more troubling example of political correctness was cited by Rhian Hughes who wrote, “The *BBC has dropped the use of the terms Before Christ (BC) and Anno Domini (AD) on one of their programs and decided that the terms ‘Before Common Era’ and ‘Common Era’ are more appropriate.”  The idea that Christ should be the measure of cataloging historical events on a time chart was obviously offensive to some people. Today, a more ominous and recent example of political correctness occurred when Brendan Eich was forced to resign as CEO from Mozilla. A politically correct group on social media learned Eich had donated money to Proposition 8 (a ban on gay marriage in California) six years earlier. The group launched a social media campaign against Mozilla ending in Brendan’s resignation. From what I’ve been able to glean, Eich was exercising his constitutional right to donate to a political cause, which was then judged by a social media group as evil and a danger to society. On unity and the need for inclusiveness, the Pope talked about his hope for a gospel of brotherhood to break down the barriers of division…that there is indeed the need for everyone to join in commitment to build a global society that is fair, equal, and united. While I agree we all need to get along, I sense this new gospel of brotherhood will not look kindly upon those adhering to the Gospel of exclusiveness; that is, we do not all worship the same God. To suggest Jesus is the only way to salvation places the genuine believer on the outside looking in. Defending John 14:6 will be looked upon by the world (and compromising faiths) as offensive because no opinion (different from theirs) will be tolerated. God himself said, “For your thoughts are not My thoughts (Isaiah 55:8).” Without question, God’s thoughtful ways are higher and better than our ways; but, the world will not hear of it! God’s way of living goes against the grain of political correctness and herein the disquieting irony of living in a world where biblical truth is no longer tolerated (1 Corinthians 2:14). Of course, none of this should be surprising to any of us. Charles Darwin never intended for the Theory of Evolution to replace the Bible; but when the seeds of his theory took root in the minds of godless men, it took on a life of its own. Although political correctness may have begun with good intentions, it has now devolved to take on a depraved life of its own. Instead of being Politically Correct, we must be Biblically Correct! Brethren, where else are we to go? He alone is the Creator of the Universe. He alone established the heavens and the earth. 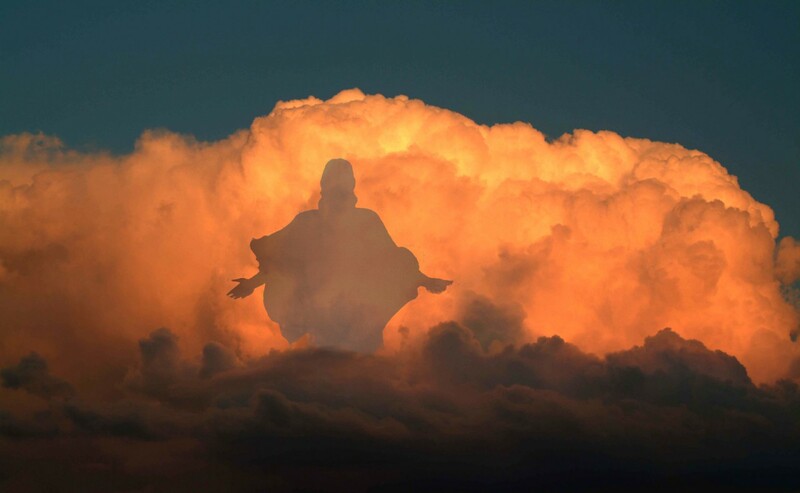 He alone is our Father in heaven. He alone is in control. He alone loves us with an everlasting love. Praise the LORD for his everlasting love, goodness, and patience! Lord, your will be done in EVERYTHING! Come QUICKLY LORD JESUS! I love you LORD and TRUST YOU! I PRAY you will allow your servant #Ted Cruz to be president, BUT if it’s too late, Lord, your will be done! The sins we will find described in Isaiah 5:20 are so descriptive of modern day America, it gives one pause: greed, injustice, pleasure seeking, blasphemy, moral perversion, pride, intemperance, and political corruption O my! If judgement could fall on Brussels, can we expect no less on New York,or Washington D.C.? God is not one to mock. I fear that America sleeps at a time when God weeps.